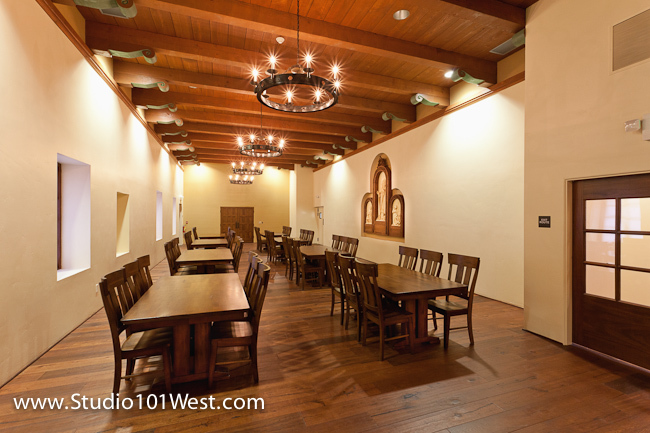 I was recently hired by Studio 2G Architects to photograph the recently completed remodel of the Parish Hall at Mission San Luis Obispo de Tolosa. 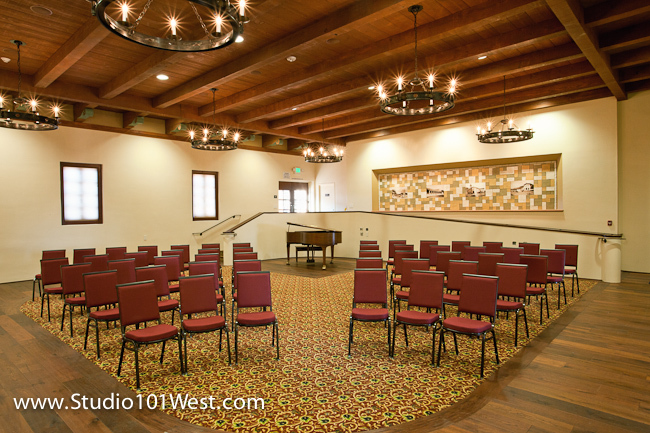 The mission dates back to 1794 so great efforts were made to restore the hall back to the original feel of this historic landmark. The thick outer wall on the left of this photo is part of the original adobe structure. 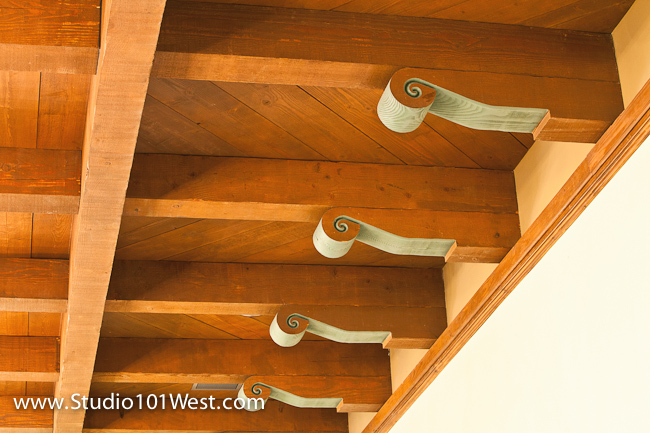 Studio 2G did an awesome job of replacing the old florescent lights and plaster ceiling with a wooden ceiling and beautifully crafted wood beams. 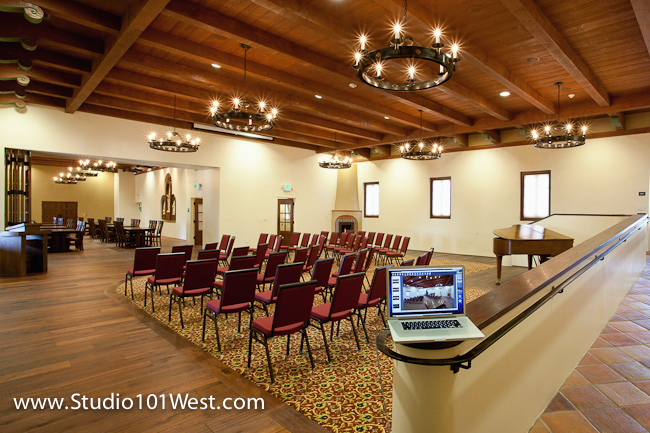 When shooting interiors like this my laptop connected to the camera so I can instantly see the image and make quick adjustments, add lights or move items. 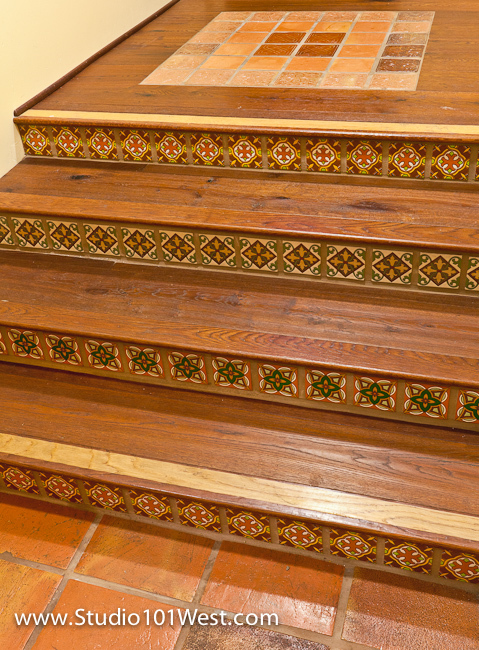 The mission style tile stair kicks add durability and beauty to this custom stare case.. 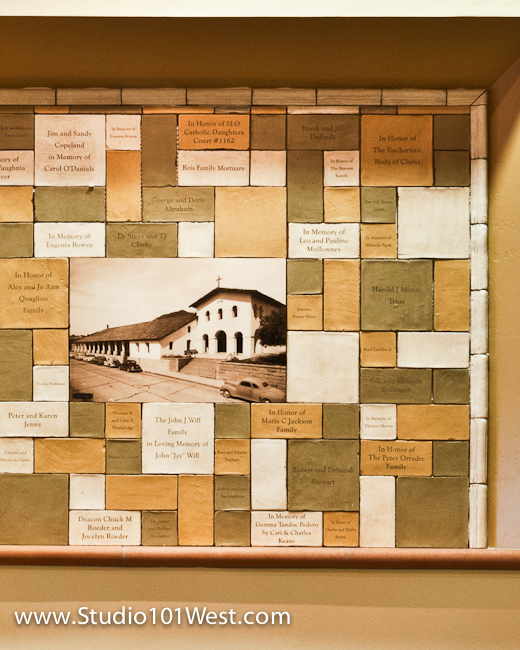 There is s special mosaic made of historical photos of the mission surrounded by the names of the donors that helped fund the restoration.